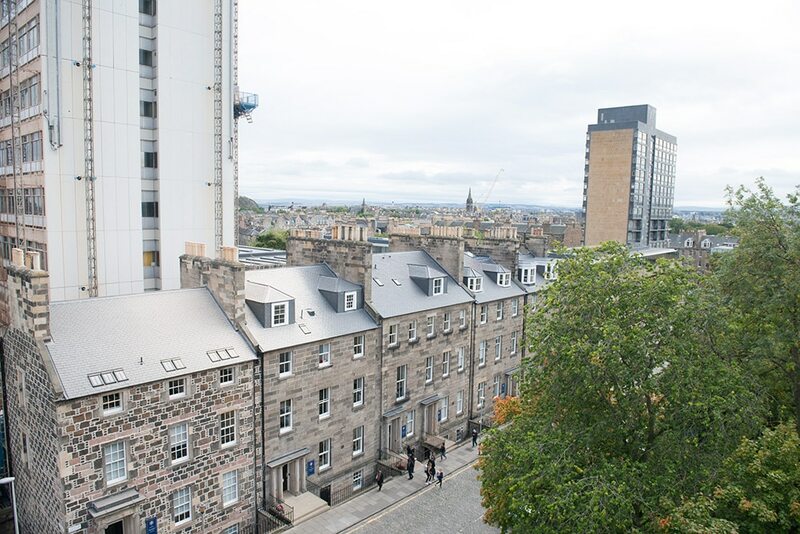 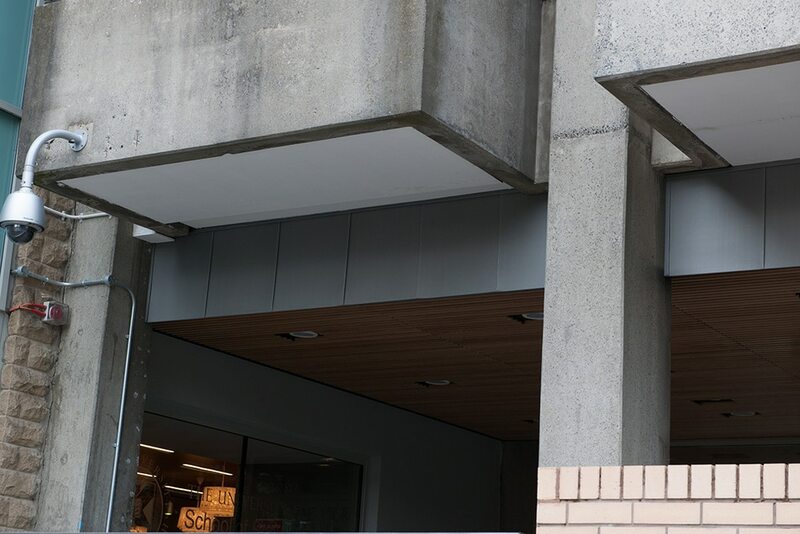 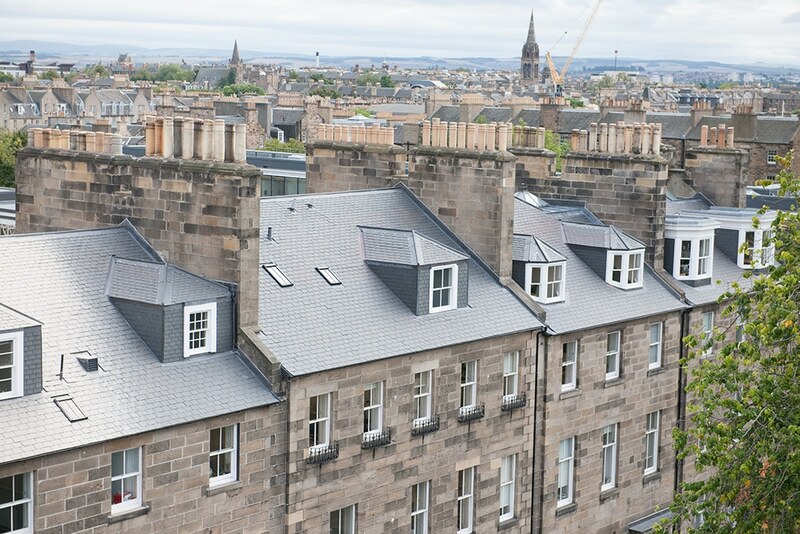 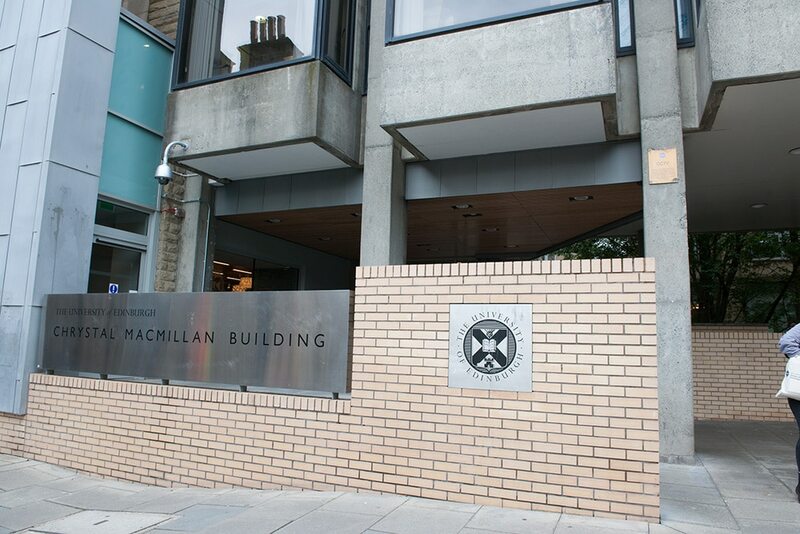 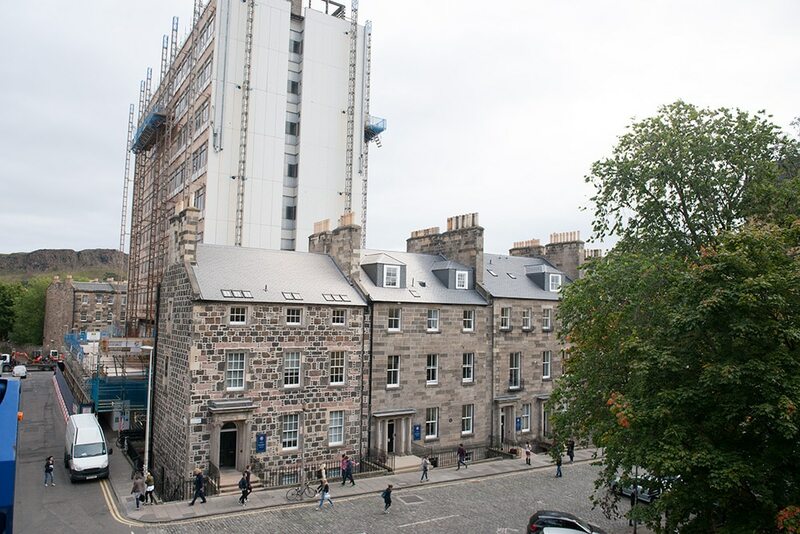 The University of Edinburgh required a first class waterproofing system, offering a prompt and trouble free installation for a flat roof requiring refurbishment. 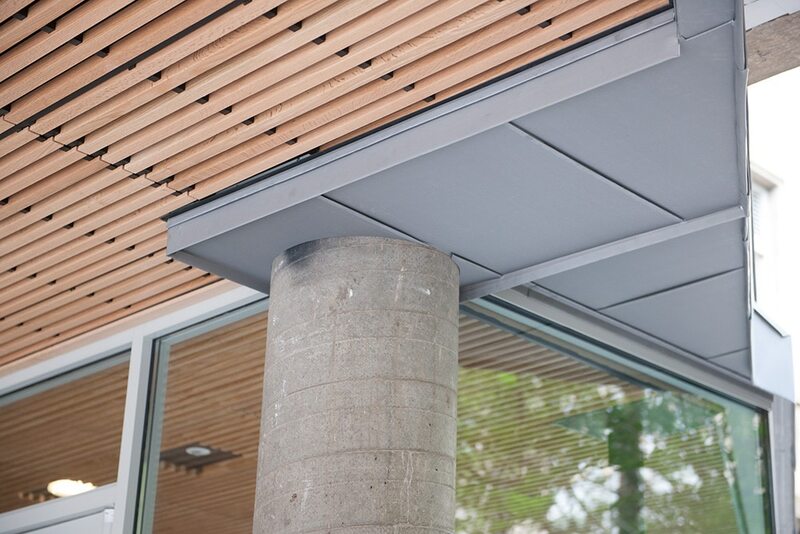 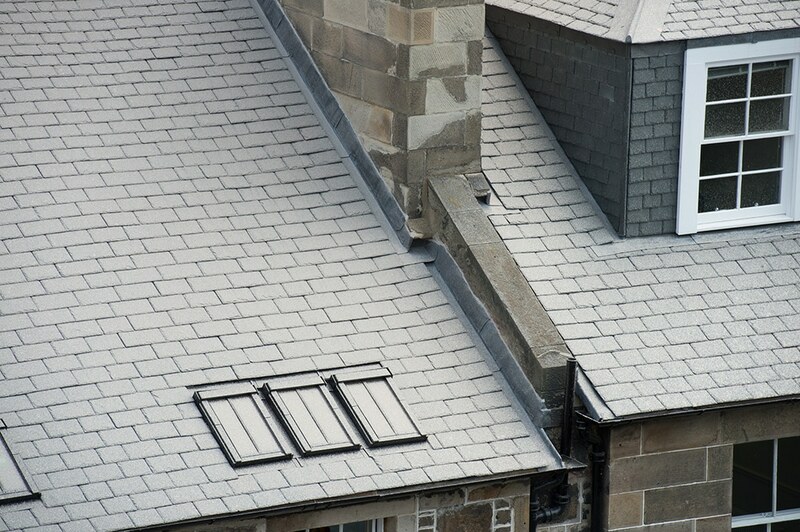 The comprehensive range of products IKO could offer consolidated into a single point guarantee was also a benefit. 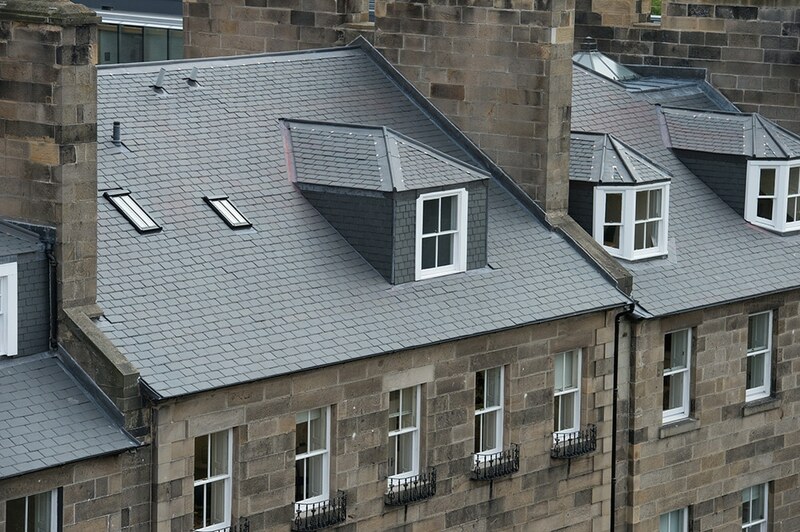 Limiting the noise created while installing the IKO Polimar EC/UV liquid roofing waterproofing system was a challenge, but one that IKO and the main contractor adhered to throughout. 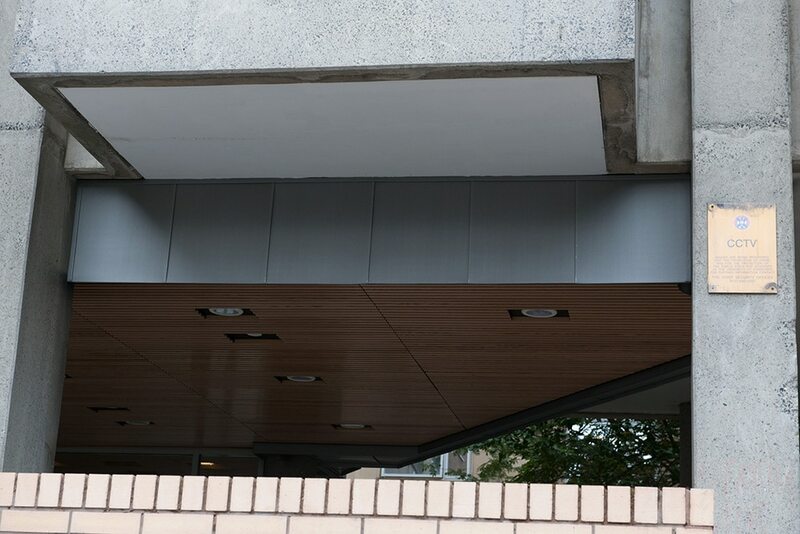 This included replacing flashing with IKOflash and installing a new handrail. 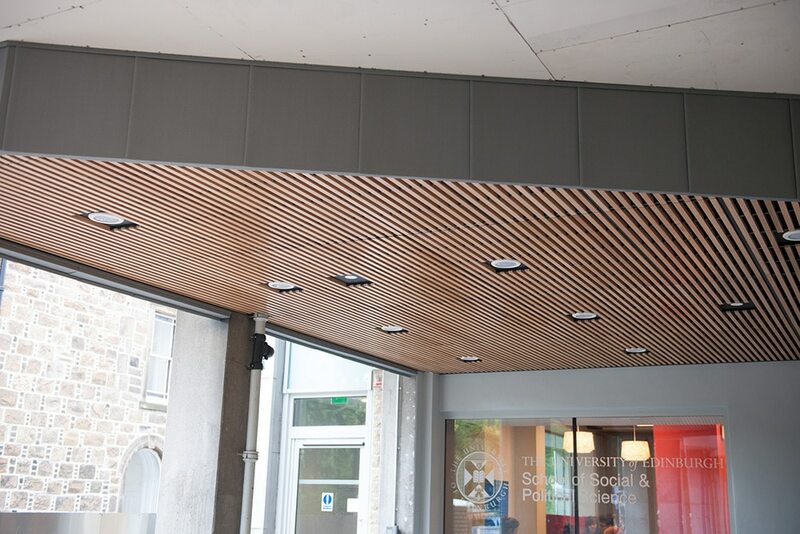 The installation continued while the University stayed open and lectures were not disrupted by noise and more importantly, no water ingress. 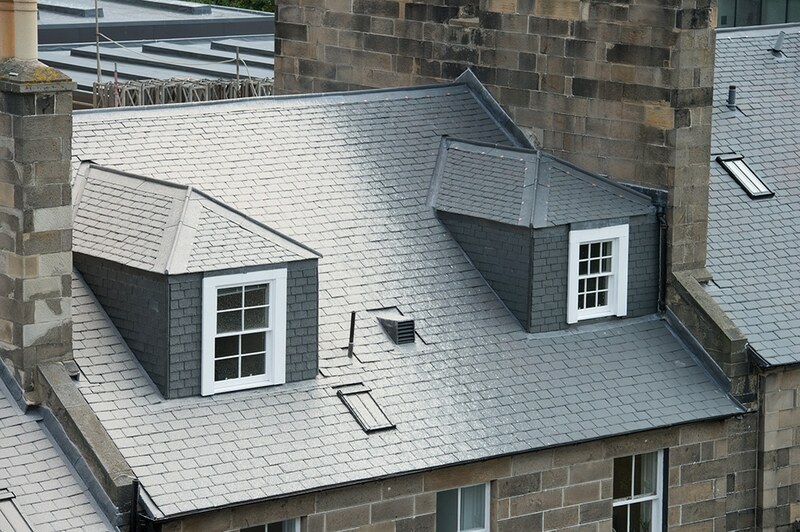 An IKO installation report was issued by the on-site engineers who monitored the installation on a regular basis until completion. 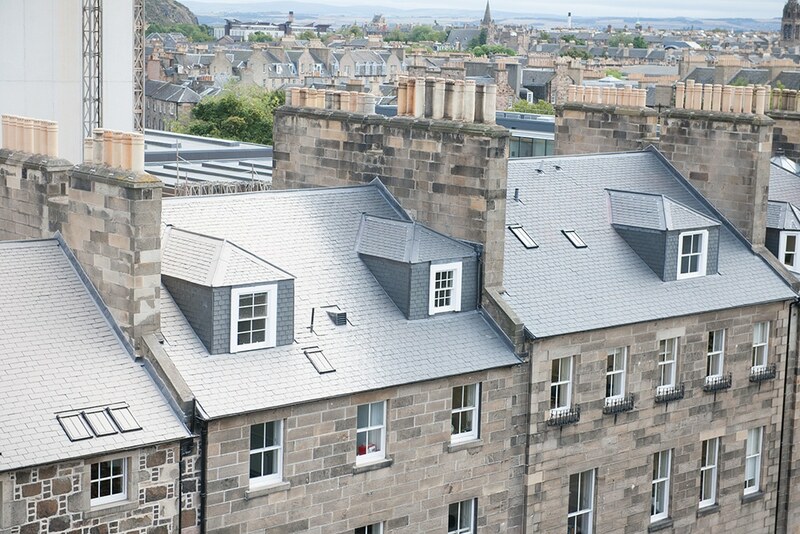 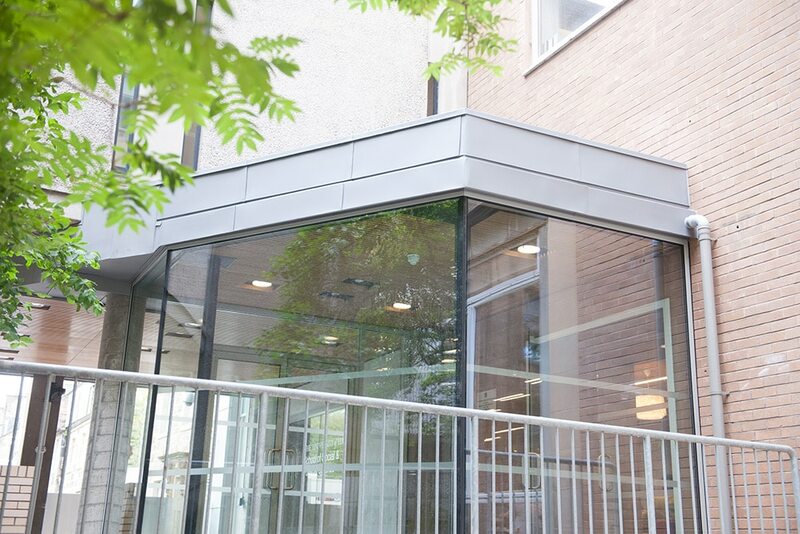 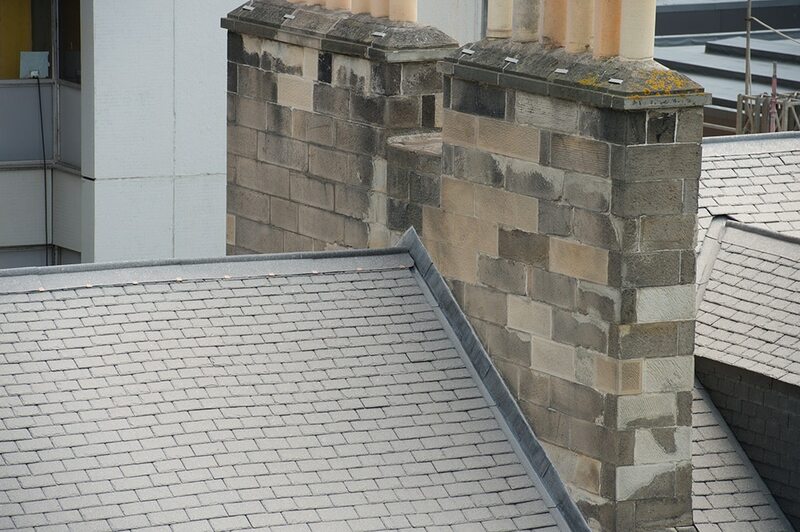 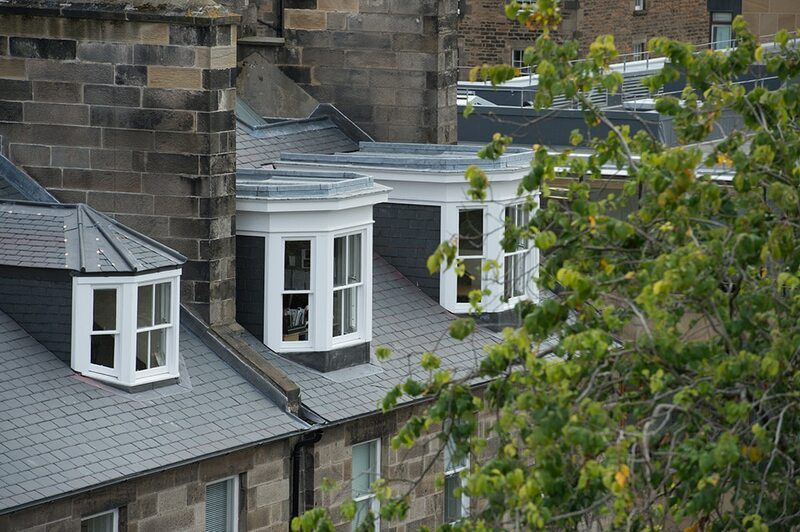 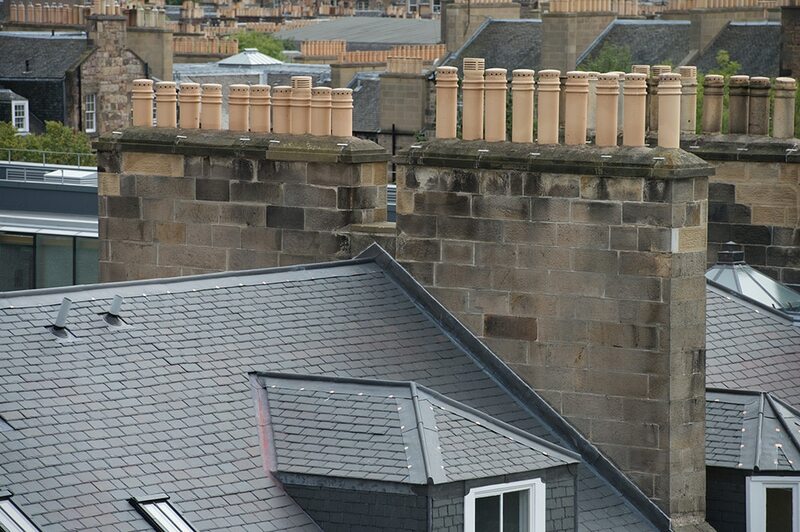 The-University-Edinburgh Case Study Installing Contractor Corstorphine Roofing. 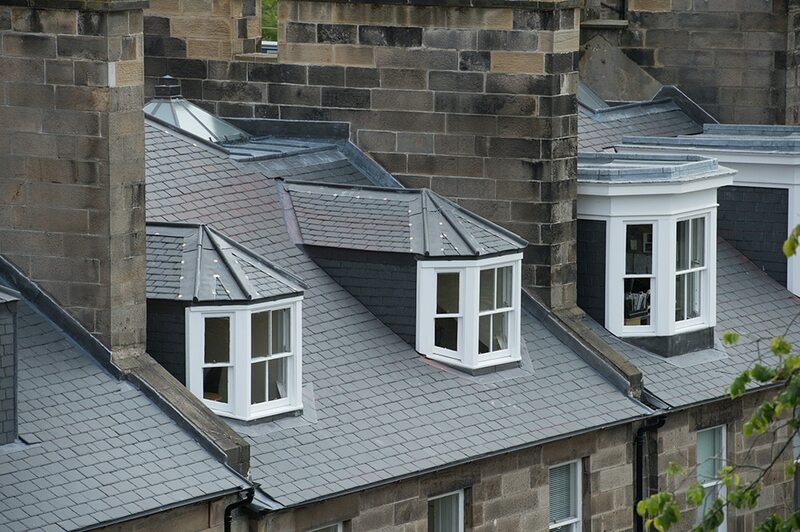 Roof stripped and re-slated with new Westmorland slate, new lead work, 140 approx Sash and Case windows restored to full working order, new conservation style roof lights.